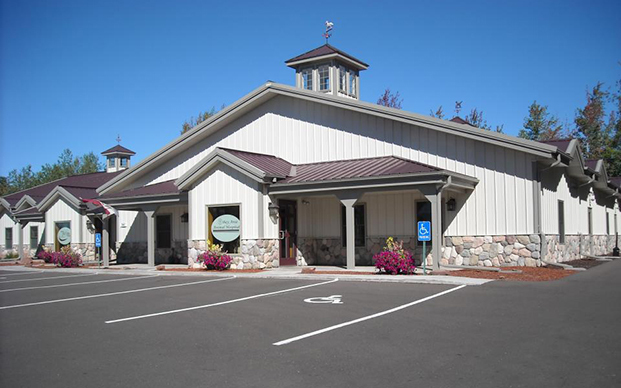 Bay Area Animal Hospital is a full-service veterinary medical facility, located in Ashland, WI. The professional and courteous staff at Bay Area Animal Hospital seeks to provide the best possible medical care, surgical care and dental care for their highly-valued patients. We are committed to promoting responsible pet ownership, preventative health care and health-related educational opportunities for our clients. Bay Area Animal Hospital strives to offer excellence in veterinary care to Ashland and surrounding areas. We consider it a privilege to work with you and are dedicated to providing the best possible veterinary care for your pet! Bay Area Pet Spa and Resort is located adjacent to Bay Area Animal Hospital. We have 30 dog kennels of various sizes, along with multiple cat condos for your boarding needs. Our grooming suite can accommodate the needs of various sized dogs and cats, along with a variety of coat types. We also offer daily daycare Monday through Friday for dogs who pass an evaluation. Come see us for all your pet boarding, grooming and daycare needs!